I like to serve fried fish with coleslaw, tarter sauce and occasionally french fries. Sometimes I make “homemade”slaw, shredding the cabbage and carrots but usually I just buy a package of slaw. Same goes with the tarter sauce. I have and often do make my own tarter sauce, but there are times when the bottle variety works just fine. I guess it all comes down to a matter of time. How much time and effort do I want to put into dinner. 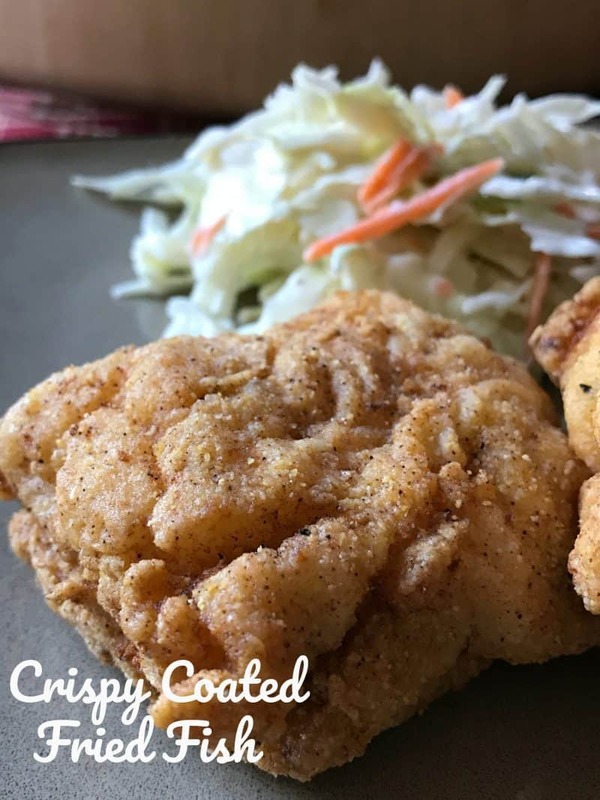 Whether you make your own coleslaw and tarter sauce or you purchase packaged coleslaw and your favorite bottle of tarter sauce, making fried fish at home is really easy. There is nothing better than sitting down to a homemade fish dinner. 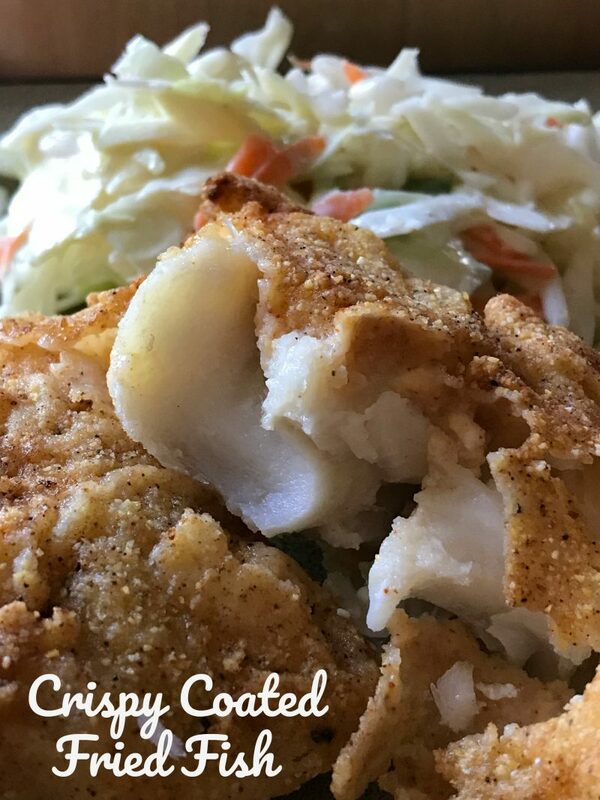 Here in Wisconsin, where Friday Night Fish Fry’s are well known and loved, with most people having a “favorite” fish spot, making fish at home had better to be good. 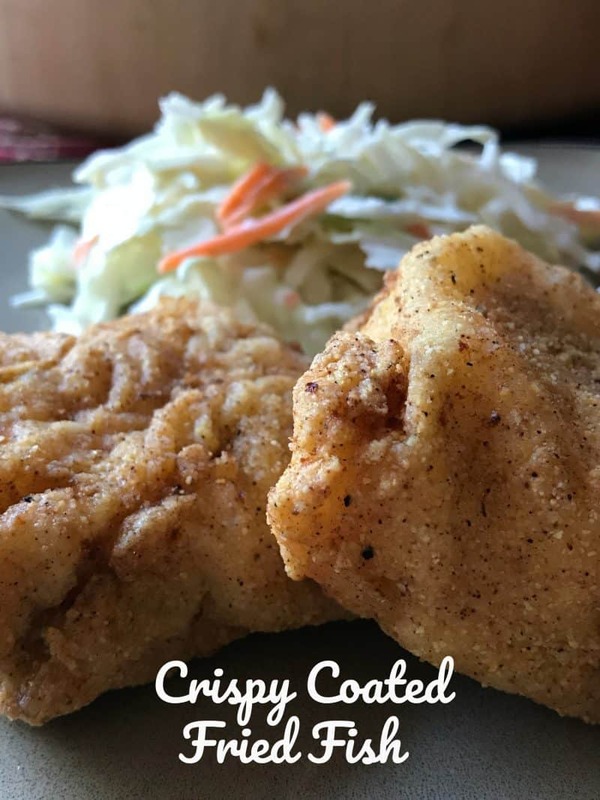 A spicy, cornmeal coating turns any type of fish into a crispy coated fish that’s hard to resist. In medium bowl pour buttermilk. Add haddock fillets, and marinate 15 minutes. Heat oil in large heavy skillet over medium heat until hot. In shallow bowl, mix together cornmeal, flour, paprika, black pepper, salt, garlic powder, onion powder, cayenne pepper and Creole seasoning. Remove fillets from buttermilk, shaking off any excess and dredge in cornmeal mixture. Fry haddock fillets in hot oil until golden brown.